Revenue in the Music Downloads segment amounts to US$524m in 2019. Revenue is expected to show an annual growth rate (CAGR 2019-2023) of -4%, resulting in a market volume of US$449m by 2023. User penetration is 9.0% in 2019 and is expected to hit 8.7% by 2023. The average revenue per user (ARPU) currently amounts to US$7.72. In global comparison, most revenue is generated in United States (US$836m in 2019). Music Downloads are defined as paid downloads of professionally produced single tracks or albums/compilations. Digital music files, e.g. in the MP3-format, can be purchased per one-time transaction and are then permanently accessible for the user. The most popular digital music download platform is Apple’s iTunes. Digital audio books are not included. Reading Support Revenue in the Music Downloads segment amounts to US$524m in 2019. Reading Support The Music Downloads segment is expected to show a revenue growth of -7% in 2020. Reading Support In the Music Downloads segment, the number of users is expected to amount to 65.6m by 2023. 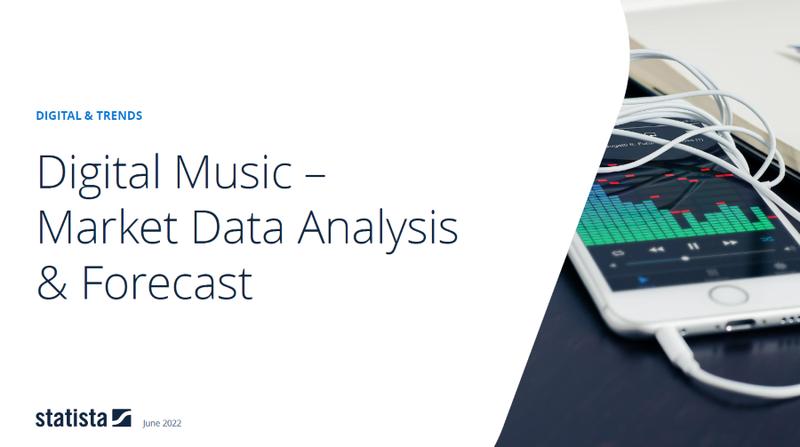 Reading Support User penetration in the Music Downloads segment is at 9.0% in 2019. Reading Support The average revenue per user (ARPU) in the Music Downloads segment amounts to US$7.72 in 2019. Reading Support With a market volume of US$836m in 2019, most revenue is generated in United States. Reading Support With a rate of 42.0%, the user penetration in the Music Downloads segment is highest in Fiji. Here you can find more studies and statistics about "Music Downloads".